We value your feedback! Leave us a review on our Google My Business listing! "Very polite and helpful. Arrived on time. Did a great job and cleaned up the mess a previous cleaner had left around the perimeter of the carpet in my living room. I couldn't figure out why it looked so bad. Apparently the solution wasn't removed and it left a ring around the room. Everything looks very good now. I will definitely use the Greener Cleaner again." "Joel Wheaton, Owner & President himself, came out to clean my carpet. He was able to squeeze me in on short notice (one day!) and I was very happy with the work he performed. I had several dark pet stains and I had actually considered ripping out the carpet in the living room and hall, but he made it look practically new, again. I will be telling everyone I know about his work, and I will definitely use his service again! Thank you, Joel! Happy New Year. I wish you continued success!" "Very personable to work with; thorough in their work on our carpets and couch. Both our floors and couch look great. Our family room carpet which is older had matted down, discolored areas because of wear, looks great now. 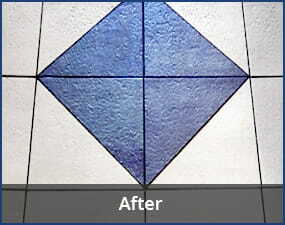 Very pleased with their work and will be our first call in future cleanings." "Chris was great. He was pleasant, personable and knowledgeable. He explained to me what he was going to do, why he was using the process he chose, and how long it would take. He was done when he said he'd be and our carpet looks fantastic. This was one of my rare experiences when a contractor showed up on time and did exactly what was promised. I would recommend Greener Method without hesitation." "They were great. I don't think anyone has done as good a job as Greener Method did. They pre-spotted all the stains then cleaned the carpet. It looks great. It is almost 18 years old and Chris made it look almost new. Very happy with the job!" "I can't begin to tell you how much of a pleasure it was to have Green Method Cleaning come to our home and clean our carpets and our sofa! They were absolutely professional and did a fantastic job! Our carpets look like new and they even brought our 22 year old sofa back to life! I would call them again and recommend them to everyone!" "Mr. Wheaton was hired to clean the carpeting in two bedrooms, a stairway, and various area rugs. His work was outstanding! The bedroom carpeting is cream colored and over 20 years old. Replacing it was a real consideration. After Mr. Wheaton finished cleaning it, it practically looked brand new!!! The area rugs in the foyer were heavily soiled and had a "doggie" smell as that it's our dog's favorite place to lay. I watched in amazement as Mr. Wheaton cleaned the foyer rug and returned it to its original color. We are no longer greeted with the "doggie" odor upon entering the house! 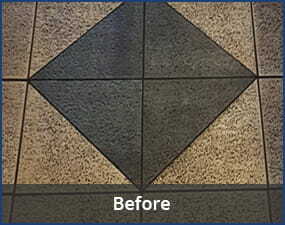 The stairs, a high traffic area, were cleaned of all their spots and look great. Liked the whole "green" method as well. Will continue to call upon Mr. Wheaton and Greener Method for all my carpet cleaning needs!" "Very professional and the job performed was very good. If there was an issue with the carpet he showed it to me and gave me recommendations. All his products are organic which is a great thing considering I have a toddler that puts everything in his mouth. Would definitely use their service again." 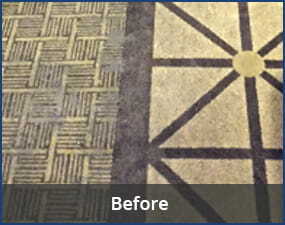 "Our carpet had set in stains and they lightened up but remained in the carpet. Joel said to let him know if it came out, so I called and told him it was still there and he came right out redid the area. It was so much better, but not gone, I called and he came out redid the tough stain and got it all out!! Thanks Joel for a job well done!" "Joel was prompt and he was very professional. It didn't take him very long at all. He was patient with us as we were still moving items from my apartment when he arrived. The only thing he could have done better was maybe a different product that removes kool-aid stains. Other than that I have no complaints." "Joel did an absolutely outstanding job on my carpet. Not only was my carpet cleaned well, but he was fast as well. Only an hour!!! Thanks Joel and Greener Method Cleaning!!" 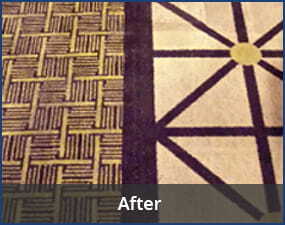 "Joel did a FANTASTIC job on a carpet that I thought would never come clean! When we walked through the house before the cleaning, he pointed out stains that probably could not be removed and the origin of other stains. I had a really dark path from the back of the house to the front (on light carpet) and now it looks like it was never there. I highly recommend Joel and I will be calling him back for my upholstery. Keep up the great work!" "Joel was timely, professional, and did a fantastic job for an amazing price! I was skeptical anyone could them looking like new, but he was able to do so! Thank you so much Joel! We plan to use you in the future and recommend you highly to others!"